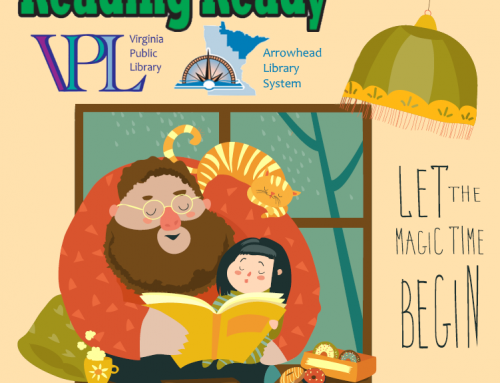 Summer is here, and with it the Virginia Public Library Summer Reading Program! From June 1st to August 5th we have free events and activities at the library for anyone who wants to have fun. If you are in Preschool through 12thgrade and are reading books this summer, you can sign up to win awesome prizes at the library! Being part of the Summer Reading Program is easy! Come in to the library to sign up and pick your reading goal for the summer. Then log the books or pages you’ve read online, and come in to the library to claim your prizes. In addition to standard prizes, you can get entries for weekly drawings – the more you visit the library the more possible prizes you win! Special guest performers visit the library! We have musicians, magicians, and even some animal friends visiting – see our brochure or website for more details! Craftastic Tuesdays! Come into the library to make free crafts! We will make crafts that float, crafts that fly, and many more! Visit between 10 and 12 in the morning. We have lots more happening at the library this summer including visits from Muggsie and Katie the R.E.A.D. dogs, storytimes on Monday and Wednesday, and scavenger hunts, puzzles and challenges all summer long! If you are looking for a fun free time this summer stop by the Virginia Public Library – we will be happy to see you!